Check out the news you missed today below. Snail Mail announced new U.S. tour dates—plus, don’t miss new limited-edition vinyl from the Distillers. Check out the news you might have missed today below! The Distillers announced their 2018 singles, “Man Vs. Magnet” and “Blood In Gutters,” will be coming to limited-edition vinyl on Valentine’s Day. This will be the first physical release by the band in almost 15 years. You can preorder the limited-edition seven-inch here. Teasing his upcoming solo album, Citizen frontman Mat Kerekes released a new single, “Diamonds,” with a fresh music video to boot. You can download the new single here. Kerekes will be heading on tour beginning late February with tickets available here and dates below. Snail Mail announced the addition of Midwest and Southern U.S. dates on her upcoming tour, which kicks off at Madison Square Garden with Car Seat Headrest Feb. 16. You can get tickets here, or see dates below. 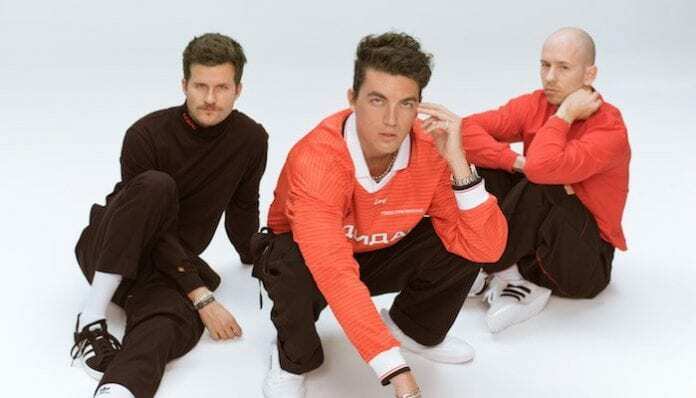 To kick off their headline tour, LANY dropped a new music video for “Thick And Thin.” The song comes from their recently released sophomore album, Malibu Nights. The worldwide tour doesn’t come stateside until April, but you can check out the North American dates below, with tickets and additional dates available here. The Japanese House dropped a new single, “We Talk All The Time.” The release comes in preparation for their upcoming album, Good At Falling, which is set to release March 1 via Dirty Hit/Interscope Records. You can preorder the album here. The band will be hitting the road following the release of Good At Falling, with tickets available here and dates below.